Hot this week: My free online art and antiquities crime course starts next week! About my free online course starting 1 Feb. In which I call certain art criminals ‘idiots’! Attribution creep and the urge to ‘prove’ that anonymous artworks are really by famous folks. Where the money is at. The latest story in the back and forth between heritage activists and the government. Some comments from various people (my self included) about the lack of movement forward on this topic. A step by step of how the mask came to be broken and improperly restored. The on going threat to Mali’s sacred heritage. Five suspects in the robbery of the National Commission for Museums and Monuments were stopped by locals. Four polar bear carvings and a narwhal tusk were taken from Iqaluit’s Nunatta Sunakkutaangit Museum. The artist says his designs have appeared on handbags at a New York boutique without his permission. Danny Quirk’s modified work appeared on Madonna’s social media accounts. There was no indication of forced entry; the glass art is valued at $100,000. What was this stuff doing in a trailer? Who can say? The vault’s roof was allegedly damaged and had to be replaced. It seems like nothing in the vault was harmed. It was stolen from an active dig site that was on private property and the property owners are letting the museum keep it. Did Knoedler gallery director know she was selling fakes? We’ll see. The draft has been dismissed as “woefully inadequate” for protecting this sacred landscape. More on the disastrous proposal that Floridians be allowed to loot archaeological sites with a permit. The interactive piece by Nova May went missing and is presumed stolen. This, of course, isn’t the only federal law they’ve broken. More on the fate of artefacts during this standoff. Disturbing video. The books were taken between 2004 and 2013 from the National Library in Dublin. The three 17th century paintings were stolen from a private home in Siena in 2007. He expects more restitutions but says we probably didn’t understand the complexity of the job. The historic weights and measures taken from the museum are thought to have been stolen for scrap. A 150-year-old wooden chain and anchor was stolen from a Rotokauri home. Again, gallery owners, lock your doors. 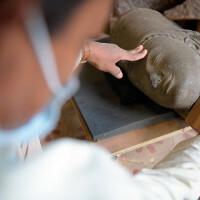 Recent successes in antiquities repatriation show that the Cambodian government are committed to return. With the return of the Harihara statue the Cambodian government urges other countries to return stolen heritage. The 400kg lamp was taken from Lord Ayyappa temple in Bhopal and now a major reward is being offered for it. The jewellery, which was once on the idol of Goddess Paravathavarthini, was stolen at some point. The gang is thought to have hit several Jain temples across the country. The last of several recent thefts of Le Corbusier items from Chandigarh. Following up on the theft, records of exactly what the school owned are being sought. Carved stones and tablets with Quranic verses have been removed from the structure by Sindh tourism officials. The mosque khatib Professor Mufti Hafiz Abdul Bari says that the removal of the tiles is not a new thing. Video: Yahya Muhibzada discusses the destruction of artefacts in the national museum and efforts to restore and rebuild. The Director-General of UNESCO offers suggestions for ‘fighting back’ but they aren’t the sorts of things that seem significantly different or effective. St. Elijah’s Monastery near Mosul appears to now be rubble. Claiming hypocrisy in various western nations lack of implementation of international conventions and protocols. “Tohmé believes the issue is symptomatic of a new wave of crackdowns across the region” against artists. Trying to make those with the power to change things care about this issue.